Martyn Hilbert's Railway Photography - Preston & District - EWS 66175 at Portway, Preston Docks. 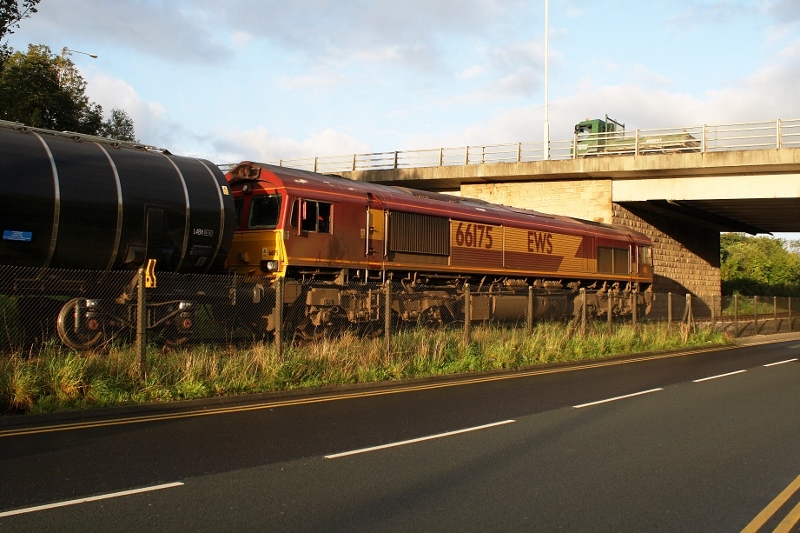 EWS 66175 at Portway, Preston Docks. In early morning sunlight, EWS Class 66, 66175 runs alongside Portway with 6M32 from Lindsey Oil Refinery on the 19th September 2011. The train is about to pass under the Penwortham By-Pass.